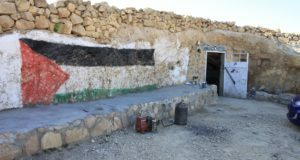 On 15 May 2014, Israeli courts extended the mediation process between the Israeli army and the villages within Firing Zone 918 for another three months. The Israeli army wants to use this area for training. 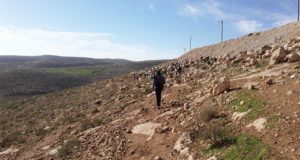 Israeli, Palestinian and international human rights organizations have condemned its bid to expel the villagers a violation of international law, which forbids forced transfer of the indigenous population of an occupied territory unless the occupying power is safeguarding them from an immediate danger. During the previous period of mediation, the court allowed rehabilitation of damage done by storms, as well as access to the area by international humanitarian organizations. As a result, some development was possible in the area, specifically to the schools in al-Fakheit and Jinba. At the same time, as revealed in an article published on Ha’aretz, army officials admitted using firing zones as a way to deter the growth of Palestinian communities in Area C and to expel Palestinians from where they have lived since before the occupation of the West Bank in 1967. Since 8 June, the Israeli military has conducted exercises in close proximity to, and on one occasion, inside the village of Jinba. Some weeks before, the army drove armoured vehicles over Palestinian fields close to Jinba and Mirkez, damaging their harvest. 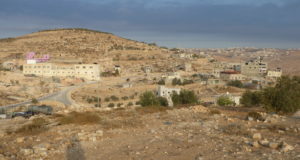 Residents of Jinba told CPT that they received a “solution” to the current legal battle from the Israeli army via their lawyers at the beginning of June. The army asked that all of the Palestinian residents voluntarily leave the area for thirty months so that the Israeli military could conduct its exercises. After that, the Palestinians could return to their homes. The villagers refused the offer, affirming they would not have anywhere to go with all their livestock. Even if the army allowed them back, no one would care for their crops and flocks for that thirty months. The army is not asking Israeli settlers in the area to leave Firing Zone 918.